A Charlotte, North Carolina firm serving Mecklenburg and the surrounding counties in offering employment, labor, and worker's compensation practices for businesses and individuals. Charlotte North Carolina employment/labor law attorney and North Carolina workers compensation lawyer offering counseling and litigation services to individuals and businesses. The firm is unique among Charlotte and North Carolina employment law practices Jack Smith counsels and represents employers and employees in all workplace issues, and is one of the few employment law attorneys to also focus on workers' compensation. This website is designed to provide you with information about Mr. Smith's practice as a Charlotte, North Carolina employment/labor law attorney and a North Carolina workers compensation lawyer. Mr. Smith offers each client the utmost knowledge and skill in the increasingly complex areas of employment and labor law. An experienced employment and labor law attorney, Mr. Smith has the expertise to provide counsel on, negotiate, or litigate any type of employer/employee matter. By focusing exclusively employment law and related workers' compensation and labor law matters, Mr. Smith is able to provide individuals and businesses with the guidance to achieve their objectives. Miscellaneous Information: AV, Preeminent rating from Martindale Hubbell. Listed in the 2014 edition of The Best Lawyers in America. Phi Delta Phi. NCDRC Certified Superior Court Mediator and District Court Arbitrator, AAA Panel Member for the Mediation of Employment Disputes. Finalist: Stanley Cup Moot Court Competition, 1984; National Moot Court Competition, 1985. Author: "Statutory Modifications," North Carolina Tort Practice Handbook, Wake Forest Continuing Legal Education, 1985; "Americans With Disabilities Act & Workers' Compensation Claims" and "Repetitive Motion Disorder Claims-Prevention, Handling & Defending," Workers' Compensation in North Carolina, Lorman Business Center, Inc., 1991; "The Interplay Between Worker's Compensation and Other Disability Laws," North Carolina Association of Defense Attorneys, 1997; "Employment Law for the Workers' Compensation Practitioner," North Carolina Bar Foundation, 1998; "Departing Employee Issues," North Carolina Association of Defense Attorneys, 2002. Charlotte, North Carolina employment and labor law attorney and North Carolina workers compensation lawyer Jack Smith grew up in Mooresville, North Carolina and has lived in Charlotte, North Carolina since being admitted to the Bar in 1986. Mr. Smith earned his juris doctor at the Wake Forest University School of Law in Winston-Salem, North Carolina. While in law school, Mr. Smith was a member of the Moot Court Board and participated in various Moot Court Teams including the National Team. Mr. Smith is admitted to all federal districts in North Carolina and the United States Court of Appeals for the Fourth Circuit. He has tried cases in numerous state superior and district courts and handled appeals to the North Carolina Court of Appeals and North Carolina Supreme Court. 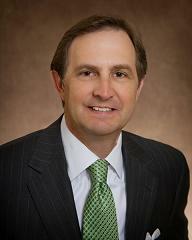 As a workers' compensation lawyer, he has appeared before the North Carolina Industrial Commission hundreds of times. He is a member of the North Carolina State Bar, the North Carolina Bar Association and the Mecklenburg County Bar. Mr. Smith is a frequent writer and speaker for continuing legal education courses in the areas of employment law and workers compensation. Additionally, Mr. Smith presents seminars for employers on all aspects of employment law. Mr. Smith is a certified North Carolina mediator and arbitrator.Mr. Smith has been awarded the AV Preeminent rating from Martindale Hubbell, the highest possible rating for attorneys in both legal ability and ethical standards. Additionally, Mr. Smith has been named one of The Best Lawyers in America in the practice areas of Employment Law for Individuals and Litigation for Labor and Employment in the 20th Edition of The Best Lawyers in America. Mr. Smith's community involvement is significant. He has coached nearly every youth sport, participated in many committees and volunteered as a Sunday school teacher at his church in classes ranging from three years old to adult. Mr. Smith has served as Secretary and President of Carolina Golf Club. He has also served as a member of civic and charitable boards.